Dr Carole Nakhle, CEO of Crystol Energy, discusses how the recent political developments in Saudi Arabia, in particular the appointment of a new crown prince, might affect oil markets in the near future. The interview was given to Michael Young from the Carnegie Middle East Center’s blog Diwan. Q: In late June, Mohammed bin Salman was named crown prince of Saudi Arabia. He has been particularly active in the kingdom’s oil sector, so how do you think this appointment will affect the oil markets in the coming year? A: The elevation of Mohammed bin Salman to crown prince did not surprise the oil markets. His consolidation of power had been notable since the crowning of his father, King Salman, on January 23, 2015, following the death of his half-brother King Abdullah. King Salman reorganized the kingdom’s internal system of governance, paving the way for Prince Mohammed to play a more prominent role, especially in defining Saudi economic (and therefore oil) policies. Prince Mohammed was first appointed deputy crown prince and chairman of the newly formed Council of Economic and Development Affairs, tasked with establishing the mechanisms and measures necessary to achieve Saudi Vision 2030—an audacious plan to reduce the kingdom’s dependence on oil. Many believe that Prince Mohammed also played a significant role in his country’s position within OPEC. The ascent of Mohammed bin Salman, however, has coincided with a fundamental change in the oil markets, which look very different today than they did only a few years ago. 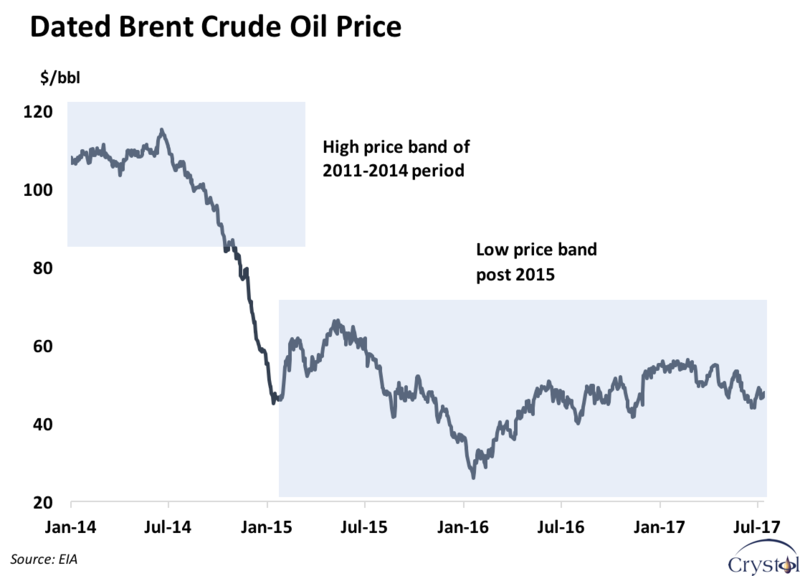 Despite wars and heightened tensions in the Middle East, as well as OPEC production cuts in collaboration with the biggest non-OPEC alliance in the history of the modern oil industry, oil prices have remained below the $50 per barrel mark since 2015. That is compared to $110 per barrel only four years ago. It will therefore be almost impossible for one country, even a large producer such as Saudi Arabia, to reverse current trends. Saudi Arabia will have to carry a much heavier burden of production cuts if the intent is to increase oil prices. That, however, will come at a high longer-term cost of losing market share. And even then success is not guaranteed. Q: In what ways has Mohammed bin Salman been different than his predecessors when it comes to dealing with the kingdom’s oil? A: The biggest difference is his strong push to diversify the economy away from oil, which is the backbone of the Saudi economy and accounts for most of government and export revenues. 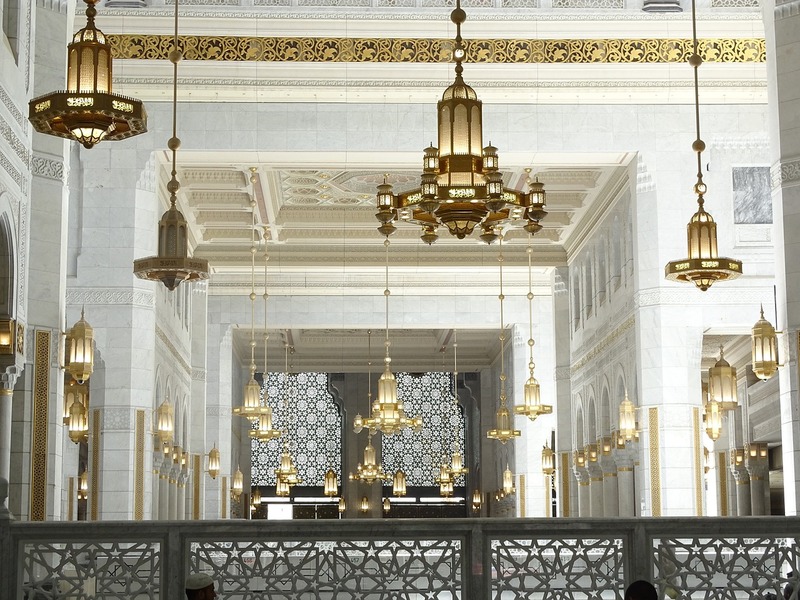 Vision 2030 is a roadmap for the kingdom’s economic and social policies and aspirations. International commentators have described it as the biggest economic shakeup since the establishment of Saudi Arabia. In fact, the goals it proclaims are probably the most sweeping of any attempted previously in the Middle East or by an oil-producing developing country. They include the introduction of basic taxes, such as income tax and a value-added tax, a reduction in energy subsidies, promotion of the private sector, and support for the role of women in the economy, among others. The most prominent changes announced, however, are the sale of a 5 percent share of Saudi Aramco and the creation of the world’s largest sovereign wealth fund that might ultimately eclipse the Norwegian Pension Fund Global, currently the world’s largest. It is this overall agenda that makes the involvement of Mohammed bin Salman different from his predecessors. This route, however, will not be easy or cheap. The International Monetary Fund acknowledges that “the transformation of oil-exporting economies is no easy task and will be a long-term project. It will require a sustained push for reforms and well-thought-out communications.” In Saudi Arabia any judgment on whether these prerequisites have been met is still premature, irrespective of the price of oil. One can also observe that the strategy of Saudi Arabia within OPEC changed in 2014, when the kingdom broke with longstanding tradition and abstained from cutting oil production to stabilize a falling market. Instead, it started to produce at record highs to regain market share from producers in the United States and elsewhere. Perhaps there was a genuine belief that low oil prices would be good in the pursuit of economic reforms. However, the resulting low prices were too painful to be maintained, hence the reversal in strategy in December 2016, when OPEC announced its first production cut since the oil price collapse of 2014. Q: One of the signature issues that has been discussed in the past year is the initial public offering of Saudi Aramco. Where are we on that, and in what ways will Mohammed bin Salman’s greater power affect the outcome? A: Saudi Aramco is the world’s largest oil-producing company and the most influential oil company in the world. For a country that has been closed to private investment in its upstream oil sector for decades, the announcement of the IPO was rather unexpected. Originally, the IPO was scheduled for 2017–2018 on Tadawul, the Saudi stock exchange. Now it is planned for 2018. The Saudi government has yet to decide on the listing venue, beyond Tadawul—whether in New York or London. The IPO idea has been associated with Mohammed bin Salman personally, who will therefore do his best to make it succeed. The big test will be the valuation of the company. According to Mohammed bin Salman as well as Saudi Energy Minister Khalid al-Falih, who himself is a former chief executive officer of Aramco, the listing could result in a market valuation of $2 trillion for the company, equivalent to almost 11 percent of the GDP of the United States. The reliability of this estimate has been disputed, given today’s lower oil prices and because little has been disclosed on the company’s inner workings. The value that the Saudis have given seems to be optimistic, especially when compared to the value of other national oil companies and under current oil price conditions. Q: Is there a fear in the market that Mohammed bin Salman’s appointment may be a source of insecurity in the kingdom, affecting oil markets negatively? A: It depends on how one defines negatively. There is no doubt that Mohammed bin Salman is pursuing a bold agenda and little is known about him or his inner circle. The major generational change in the succession is also a novelty for the kingdom. Mohammed bin Salman is likely to remain at the forefront of Saudi policy for some time, and may well have a long reign if he ascends to the throne. It is therefore legitimate to express concerns about the potential outcomes and implications of his strategy, which are yet to be fully understood. There are three ways that Saudi Arabia can affect the global oil market: First, by sticking to the current OPEC deal and hoping that the excess inventories in the market will be absorbed. This would require a slowing down of growth in non-OPEC oil supplies as well as growth in, and a strengthening of, oil demand—quite a lot to wish for in the short term. Second, by unilaterally taking the lead and cutting production further, or convincing other countries to follow suit. The oil price might increase but Saudi Arabia will risk losing market share, which will be difficult to restore. And third, by saying goodbye to OPEC discipline, opening the production tap fully, and maximizing market share. Oil prices may subsequently collapse, everything else being the same. However, this is surely not a desirable outcome given the kingdom’s economic reform and IPO agendas, at a time when the Saudi economy is also struggling. One could also factor in the risk of heightened tensions between major oil producers in the Middle East—primarily Saudi Arabia and Iran. Under such a scenario, oil prices may recover, but without benefiting Middle East producers. The Iraq-Iran war is a good illustration. 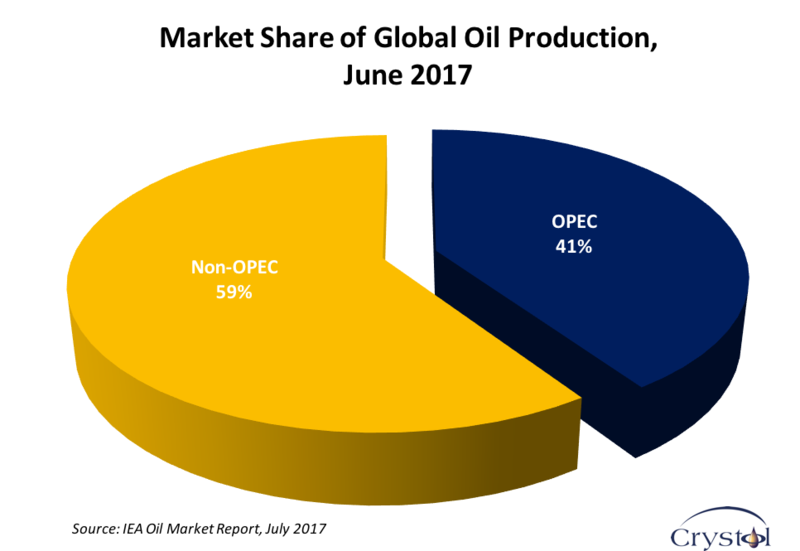 Q: Finally, the fact that OPEC production cuts do not appear to have raised oil prices suggests that the organization’s effectiveness has been undercut by the rising production of shale oil. Is there a future for OPEC and how do you expect Mohammed bin Salman to address this situation if he becomes king? A: Perhaps one of the most important outcomes of the OPEC deal announced in December 2016, and its extension in May 2017, is a reputational comeback. Prior to the deal, many observers had announced the end of OPEC. But the deal has shown that the organization can still act cohesively and maintain its discipline to a certain extent, despite (political) rivalries between its members. OPEC supplies account for around 40 percent of global oil, hence the organization cannot be easily written off. Besides, most of its members, particularly in the Middle East, are the world’s lowest cost producers. However, strong countervailing forces, both from the supply and demand sides, are at work in the global oil market and are likely to abate the impact of any meaningful intervention in the short to medium term. The advent of shale oil production in North America has forced OPEC to rethink its strategy. Originally, a great deal of cynicism surrounded shale technology, which was dismissed as overhyped, expensive, and likely to be short-lived. But shale’s doubters were proven wrong and its lasting impact took everyone by surprise, including OPEC. And it is not only shale. Increases in production from conventional suppliers have also been noted. These are a result of investments carried out when oil prices were above $100 per barrel. OPEC will need to brace itself for a rough ride over the next two to three years. The ability of the organization to maintain cohesion during this period will be essential. Can Mohammed bin Salman ensure that? Only time will tell. To read the interview in Arabic, click here.